It is said that the cable-knit sweatshirt was used in the 19th Century to protect fishermen from harsh weather conditions and cold sea air. Considering January and February tend to be the coldest months of the year, this trend could not be more welcome. However, it does not seem right to describe the cable-knit jumper as a trend. It has been a staple in the Autumn/Winter wardrobe for decades with designers re-working the classic image each year. This AW17/18 has seen Lanvin, Sonia Rykiel and Temperly pair the chunky knit with flowing skirts in silks and tulle. A pair of tailored trousers or straight legged jeans will also provide a more elegant and flattering appearance to a more oversized and chunky cable-knit. Cardigans have become popular again, a piece that screams comfort and ease, but with a bright colour and chunky knit is by no means boring. You can throw it over your t-shirts that are usually reserved for spring and summer, making the cardi a perfect layering piece under your winter jacket. Or, you can always opt for a thermal polo-neck and blanket scarf, ditching the coat all together. 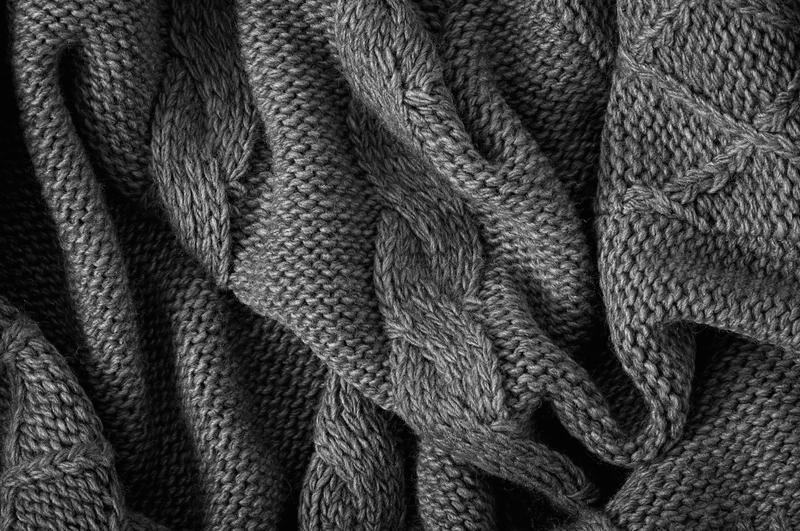 The statement cable-knit leaves a flattering finish to an outfit. A tip of mine is to make sure the shoulder fit well and the hem sits well on the waistline to avoid frumpiness. A piece as traditional and timeless as a good piece of knitwear will last you through a number of years and many a freezing cold winter. Oversized Cable-Knit Sweater, Zara, £39.99. This cream colour is a very classic take on the cable-knit sweatshirt. For a more updated edit to this piece, pair with a black leather skirt and boots, adding a contrasting texture and edginess. Or, the light tone of this jumper would be offset nicely tucked into a pair of light wash blue jeans. Boohoo Soft Knit Cable Jumper, available on ASOS, £25. Apparently, we are currently experiencing the coldest winter in five years, which I’m inclined to agree with. Therefore, the most sensible wardrobe option is to snuggle up in a roll neck knit. The chunkier the better, too big to fit under a coat, so opt for a thermal top underneath. This jumper is incredibly versatile, but to really stay ‘on trend’, pair with some tailored trousers and non-knackered trainers. Oversized Knitted Dress with Cable Detail, ASOS, £35. A knitted dress is a perfect option if you’re bored of your how you’ve been styling your winter jumpers. Dresses are so easy to throw on with a simple pair of black boots, tights and big winter coat. If you’re not a fan of tights, then knee-high boots will keep you warm as well as stylish. Knitted Wool-Blend Cardigan, H&M, £24.99. Prada and Balenciaga have both sent cardigans down the runway, meaning that they are definitely not just something your grandma wears! The easiest way to wear a cardigan in with a plain t-shirt and straight legged or skinny jeans. This particular H&M option is perfect for this season, with pastels coming back onto the high-street.